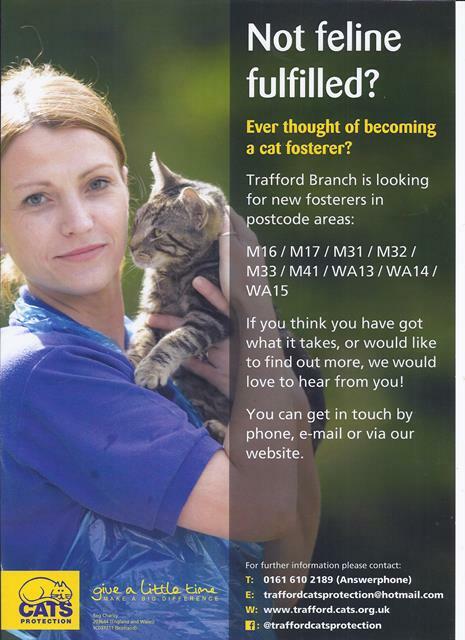 Whatever your skills, there are lots of opportunities to put them to good use within Cats Protection - Trafford Branch, where your contribution will be highly valued. Fundraising events / street collections, organising and planning local events. If you think you can help - we would love to hear from you.